P really enjoys being outdoors and playing outside, which I think is lovely and something I want to embrace before she hits the age where TV and computer games are much more appealing! I’ve always worried though that my aversion to bugs and creepy crawlies (particularly spiders) will transfer onto P, and she’ll grow up with the same phobias I have. My husband is also quite frightened of wasps – which I know lots of people are – and again this is something I don’t want P to face. So when I heard Anthisan were running a campaign to get families out and about in the fresh air, and teaching little ones about bugs and more importantly not to be afraid of them, I was really excited to get on board and help promote the idea. Anthisan is a bite and sting cream so it’s worth popping in your bag when you’re out and about. It’s an antihistamine which essentially inhibits histamine release, the main cause of pain and inflammation from a bite or sting. It can be used for ages 2 and up, so P is still a little bit young, but it will no doubt become a must-have when she’s older. Being stung is pretty horrible (I’ve encountered two wasp stings) so having something on hand to help is a good idea. 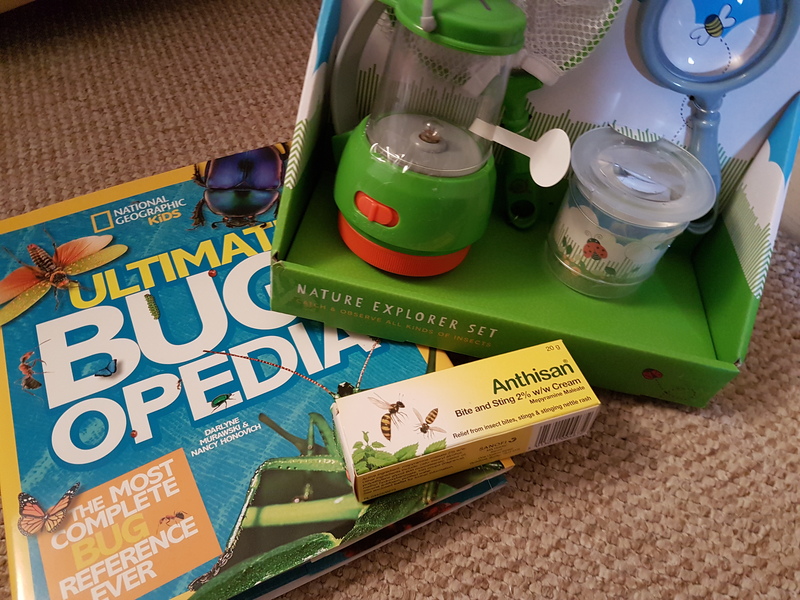 As part of their campaign, we were sent a bug hunting kit and a bug identification guide. 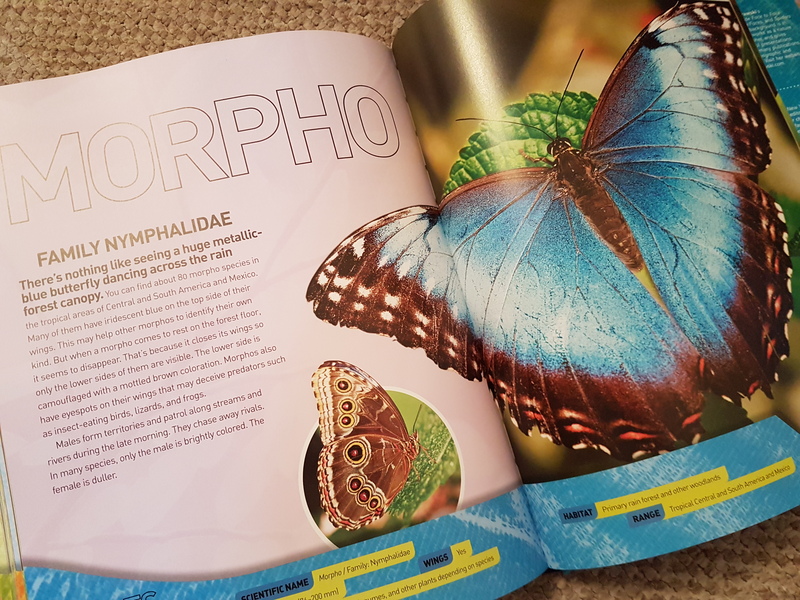 This is fab as I really don’t know much about bugs other than your usual suspects, so it will be great to learn together with P. She already enjoys looking through the pictures in the book which is a lovely thing to do with her. We are off to Devon next week for a little family break, so I’ll be sure to take our kit and get out exploring together. You can read more about Anthisan over on their website, and they have some really fun activities on there too, such as their Build a Bug game (design your own bug, name it and share it!). 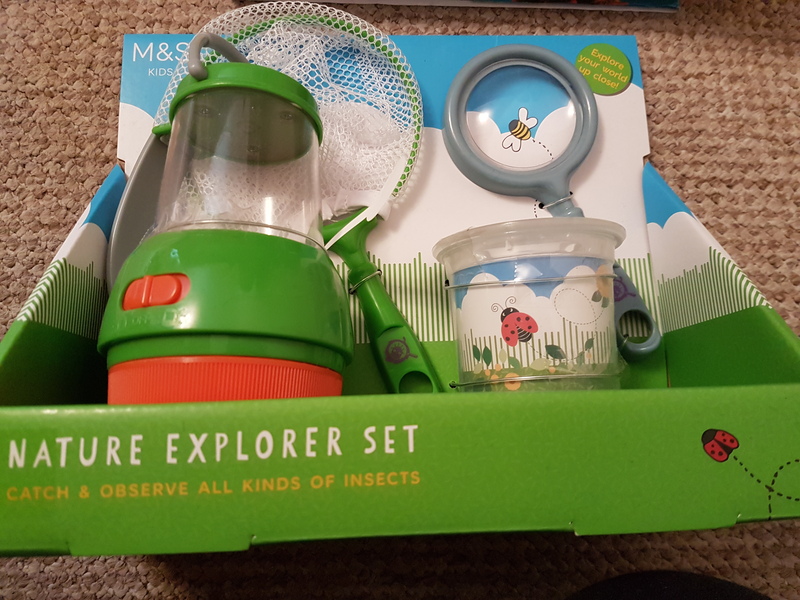 Do you go bug hunting with your little ones? The book and bug hunting set were sent to me as part of Anthisan’s campaign. I was not required to publicise the website but felt it would be useful for readers, as well as sharing the activities and games on their site which I thought were a nice touch.